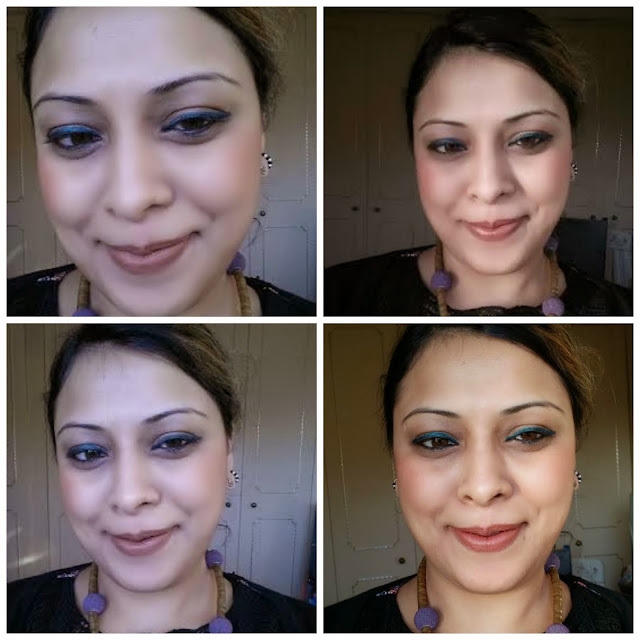 I know that this product was one of the raved product and almost all beautybloggers have shared their views on this. But I got my hands on it only a couple of weeks back when my friend Niesha send me from India. So I thought I should share my views as well. Lakmé Experts come together to be your office stylist. Now say good bye touch-ups and make a great impression with the long wear 9 to 5 lipstick. 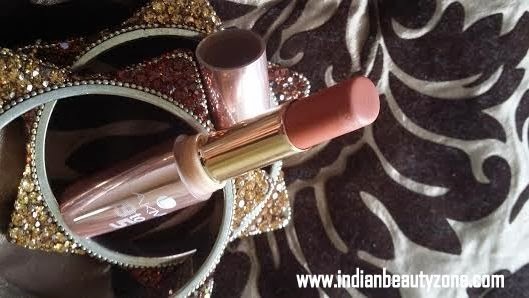 Enriched with Vitamin E, this lipstick conditions your lips and softens them with wheat germ oil. Now perk those soft, smooth lips with a touch of matte. Rosy gold packaging is classy, quite sturdy and travel friendly. 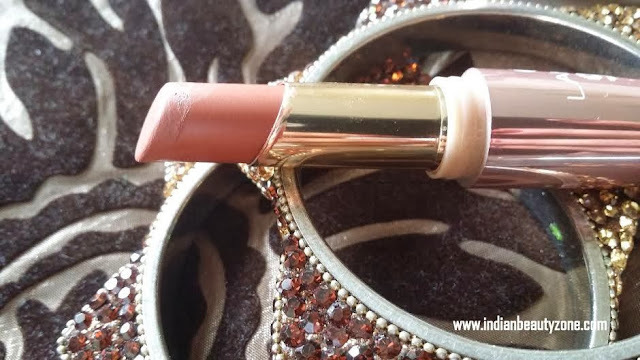 Lakme 9 to 5 is embossed with white colour on the body. The colour name is written on one end of the lipstick. I bought two more shades Pink Bureau and Scarlet drill but will review them later. I hardly buy any n*de shades but couldn't stop myself buying this one. This is perfect n*de brown shade for daily office wear which would suit all skin tones.Very pigmented; one swipe would hide even the most pigmented lips. 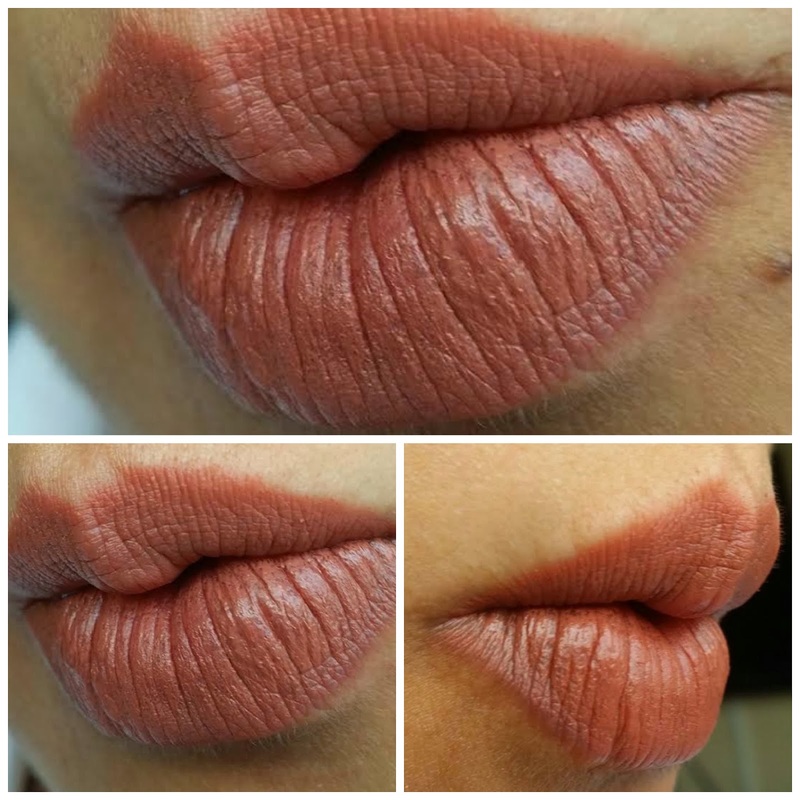 I love the texture as well; creamy in texture which turns in to matte but goes very smoothly on lips and never feels dry. Staying power is great too as it stays more than 5 hours on my lips without heavy meal. After heavy meal it leaves a tint but I found it uneven, so would suggest re-applying. I don’t like the fragrance which is unpleasant. It does accentuate fine lines. It is perfect n*de shade for daily office wear. Unpleasant fragrance can bother some. 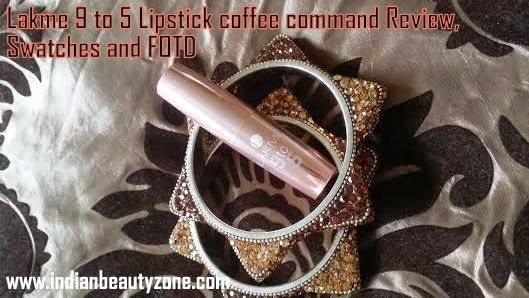 Lakme 9-to-5 Lipstick Coffee Command is a very pretty n*de lipstick which would suit all skin tones. 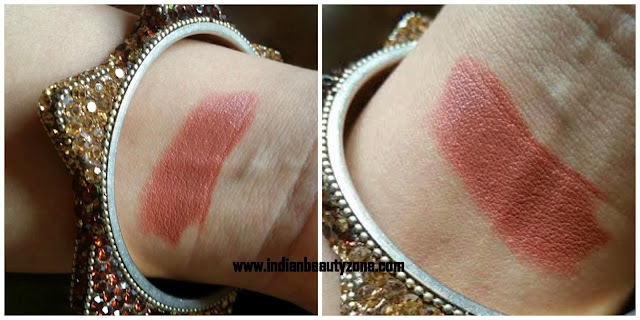 It is very good in terms of pigmentation, texture and staying power. It gives matte finish but does not dry your lips, infact feels very light on the lips, so I highly recommend it! I love this range for their lightweight matte finish! :) This color looks really very pretty on you Tej! :) You look beautiful as always too! U look as good in neutrals as u do in Brights.. lovely LOTD dear.. and ur nail art is so prettyy!! 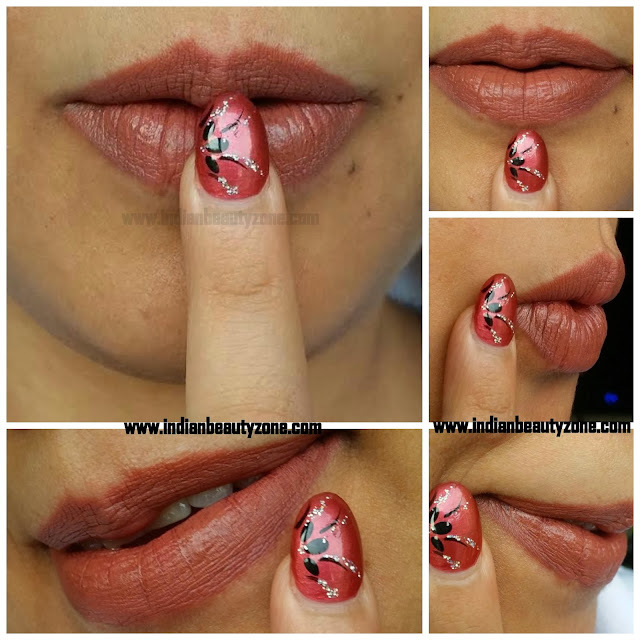 The shade is looking very good on you..shall try this and I love ur nailart...!! You look so fresh in that shade! This is what I would go for when it comes to natural beauty! Teju, I love your FOTD and NOTD..you are looking so fresh and you are glowing gal.. what's the secret? Lovely everyday shade. Btw fun nail art. I just love the color and nail art, you should do a nail art tutorial soon. Thanks subha..yeah sure will try my best subha..
love the shade on u Tej though not my kind of shade! Hey Sam. .I used lakme cc cream in these pics n totally loved it.. 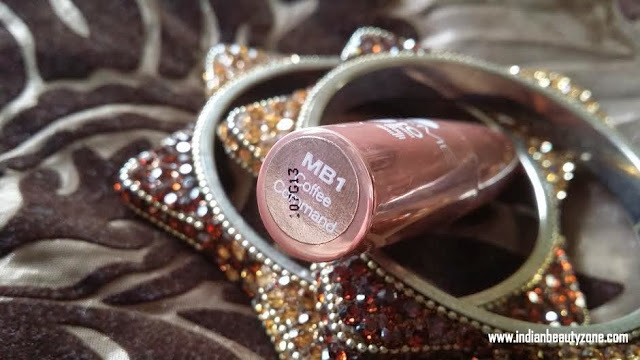 I love this netrual shade for a daily make-up!!!! thanks sweetie..have a lovely weekend..njoy .. Such a lovely shade... Love the lip swatches.. U r glowing :D <3 beautiful u r ! May I know how much is it in $? I really dnt know how much in $.. Sorry ..I bought it from India. . This is the kind of shades I usually wear. Then u should get it demi..
omg..tej....i love..love this shade..looks fab on u ..def getting it.. The shade is so good for you and your wonderful complexion. I have to say no to it. you are the best make up maker! 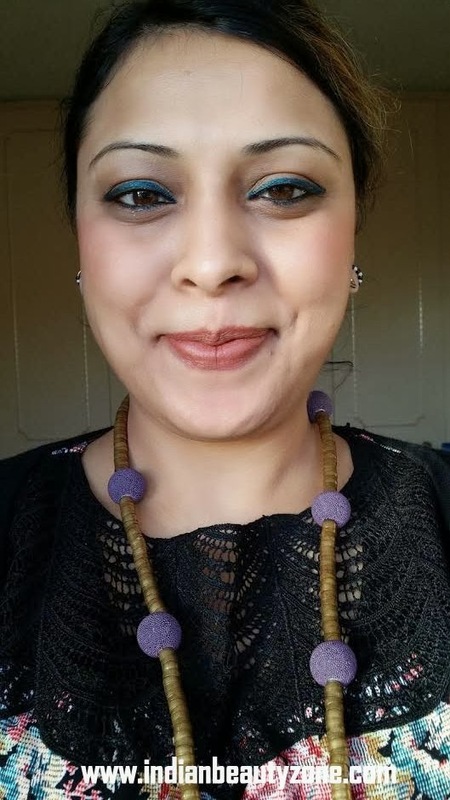 Lovely colour, Tejinder. You can carry off any colour with equal ease. (h) btw your nail colour/art is lovely. P.S. I am hosting a giveaway with some amazing prizes on my blog http://munniofalltrades.blogspot.in/2013/11/a-fantabulously-fantastic-giveaway.html. Hope you participate! You're soooo beautiful in these shot!!! The lipstick suits you a lot !